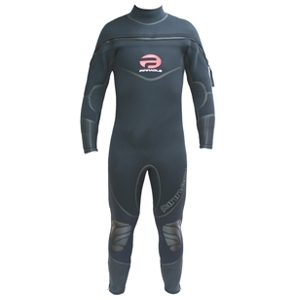 THE BEST OF PINNACLE WETSUITS HAVE EVOLVED TO BECOME THE ENDEAVOR, ONE OF PINNACLE'S MOST VERSATILE SUITS. The new Endeavor suit is a result of features that are a firm customer favorite at Pinnacle. Constructed in a high density 7mm neoprene, with heavy duty outer nylons and incorporating Pinnacle's latest seam-lock technology for maximum warmth and durability.